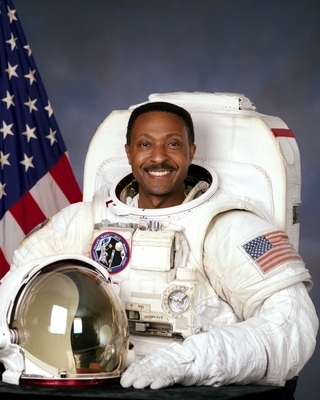 Winston E. Scott is a retired U. S. Navy Captain and aviator. He was born in Miami, FL and graduated from college in 1972 with a bachelor’s degree in music education. Scott entered Naval Aviation Officers Candidate School in 1973. He completed flight training and was designated a naval aviator in 1974. Scott later earned his Master of Science degree in aeronautical engineering with avionics. During his Navy career, Captain Scott served as a helicopter pilot with Helicopter Anti-Submarine Warfare Squadron Light Thirty-Three at NAS North Island, CA. flying the SH-2F helicopter. He later served a tour of duty as a fighter pilot with Fighter Squadron Eighty Four at NAS Oceana, Virginia flying the F-14 Tomcat fighter/interceptor. He subsequently served as a production test pilot and engineering director at the Naval Aviation Depot at NAS Jacksonville, FL., as a research development test and evaluation (RDTE) pilot and Deputy Director of the Tactical Aircraft Systems Department in Warminster, Pennsylvania. As a RDTE pilot Scott was current in the F-14 Tomcat, the F/A-18 Hornet and the A-7 Corsair aircraft. He has accumulated more than 7,000 hours of flight time in more than 25 different military and civilian aircraft and more than 200 shipboard landings. Captain Scott was also an associate instructor of electrical engineering at Florida A&M University and Florida Community College at Jacksonville. Captain Scott was selected to become an astronaut by NASA in 1992. Serving as a mission specialist, he logged over 24 days in space; including 3 spacewalks totaling over 19 hours. He has advised elected officials on matters related to space and aeronautics. He currently serves as the Senior Advisor to the President at Florida Institute of Technology. He previously served as Dean of the college of aeronautics and as Senior Vice President for External Relations and Economic Development. Capt. Scott holds the rank of professor of aeronautics in the college of aeronautics and professor of music in the college of psychology and liberal arts. Captain Scott’s book Reflections from Earth Orbit was published in 2005.